I don't think you could find a more depressing and dysfunctional family. Well you probably could but let's just deal with the one we have. I might as well state that this is what drives this book. You'll find no warm fuzzy characters lurking here. These people are miserable and the ironic thing is that they pretty much deserve it. Poor choices are the bywords. Mama wants a last family Christmas even if it means making some unreasonable and guilt ridden demands. The results are almost tragicomic. Her husband would like one as well. That is when he can remember what year it is. One brother strains to put as much distance between himself and home, St. Jude, while another brother seems to be on the losing end of their own immediate family's plans to not go under any circumstances. Then there's the sole hold out, a daughter who thinks it might just be the right thing to make the effort to be there. Each of them struggling with their own identity crises of the moment. Franzen writes the dialogue and pathos so well that you can't help but become invested even if you can't stand any of his characters. His prose becomes essential to the telling. Otherwise I'm not so sure I would have either finished or enjoyed this book so much. The writing rings of sincerity once you get over the initial almost manic “look at me” feel that the book starts out with. 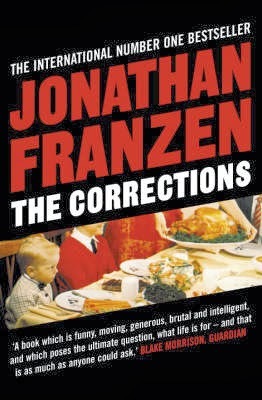 I knew I liked Franzen as soon as I read that he dissed Oprah and her book club. She's usually the criteria for why I will give what could be a good book a miss. I'm really glad I didn't this time and I don't think I'll be skipping any of his other books.